Volunteers work the phones for Democrats at a campaign office in Manchester. With just days remaining before voters head to the polls, both presidential campaigns are sprinting to the finish line in New Hampshire. And, perhaps not surprisingly, each camp feels it has the winning strategy to get out the vote. But what does that look like on the ground? 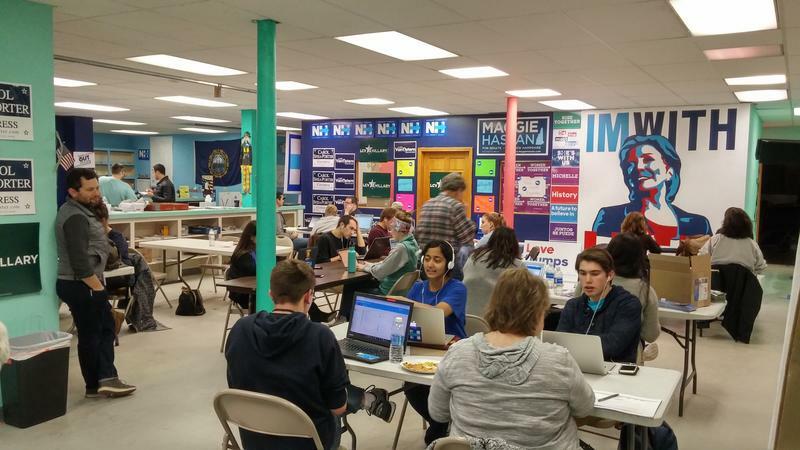 On a recent weekday evening inside the New Hampshire Democratic Party’s campaign office in Manchester, about 30 volunteers sit at fold-out card tables and make phone call after phone call. Anthony Hemphill is one of them. Tonight, the volunteers are calling people the campaign has already identified as likely supporters. So these calls aren’t so much about convincing people of why they should vote for Democrats but making sure that they actually do on Election Day. For every volunteer on the phone, there’s another with a Hillary-stickered MacBook, meticulously logging data from the conversations. Each time a voter gives an answer, a little box on a form gets checked. Phone-banking and data-collecting sessions like this are at the heart of both the Trump and Clinton campaigns in New Hampshire at this stage in the race. On a recent afternoon in Derry, Republican canvassers like Lily Grady, were making use of a smartphone app that gave their old-fashioned door-to-door operation a high tech edge. Republican volunteers go door to door in Derry. 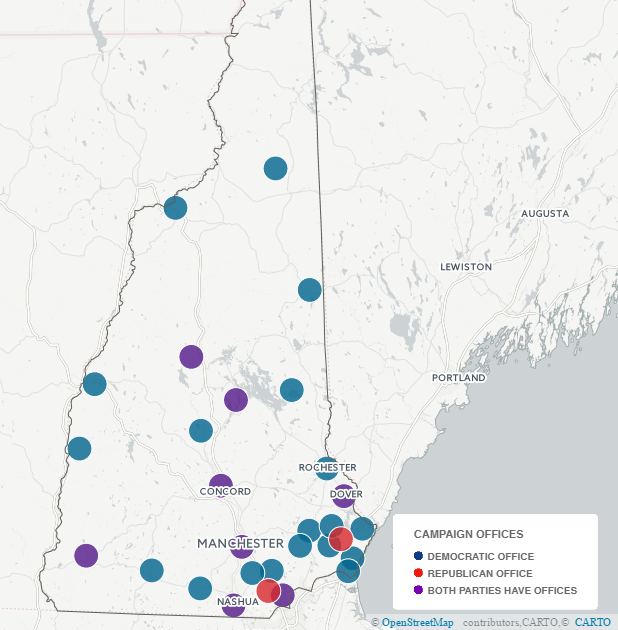 When it comes to these bread-and-butter campaigning techniques, New Hampshire Democrats have a leg up this year -- at least when it comes to things easily measured like the number of campaign offices and paid staff. But there are other campaign tactics at work this year that don’t easily fit onto a spreadsheet. On the Clinton side, one of those strengths is an armada of celebrity surrogate campaigners. At Concord’s annual Halloween Howl event, actor Sean Astin – of Goonies and Lord of the Rings fame – took selfies with trick-or-treaters and gave interviews to local radio. “It’s absolutely critical that the United States of America hires a qualified person to do the most important job in the country," Astin told costumed locals. Big name political celebrities have joined in to pitch for Clinton in New Hampshire, too. Bernie Sanders, Elizabeth Warren, Al Franken, Michelle Obama, and President Obama have all been tapped to campaign for Clinton in the state in recent weeks. If Clinton’s New Hampshire campaign has been something of an ensemble performance, then the Trump campaign has been closer to a one-man-band. But it’s a one-man-band that has given New Hampshire a lot of attention. Between his victory in the primary and next Tuesday, Donald Trump will have campaigned in New Hampshire almost a dozen times. That’s far more than any recent Republican presidential candidate. And the state Republican Party has been working to make the most of those visits, which often draw overflow crowds. At a recent Trump rally in Manchester, a handful of clipboard-wielding volunteers like Melissa Krutchfield worked the crowd of supporters as they waited for event to begin. Steve Stepanek is co-chair of the New Hampshire Trump campaign. He says their real advantage is that many of the people who come out to see Donald Trump are folks who haven’t participated in politics in years, or sometimes not at all. For now, each campaign is laser focused on what they believe is a winning strategy. We’ll soon know which one of them is wrong. 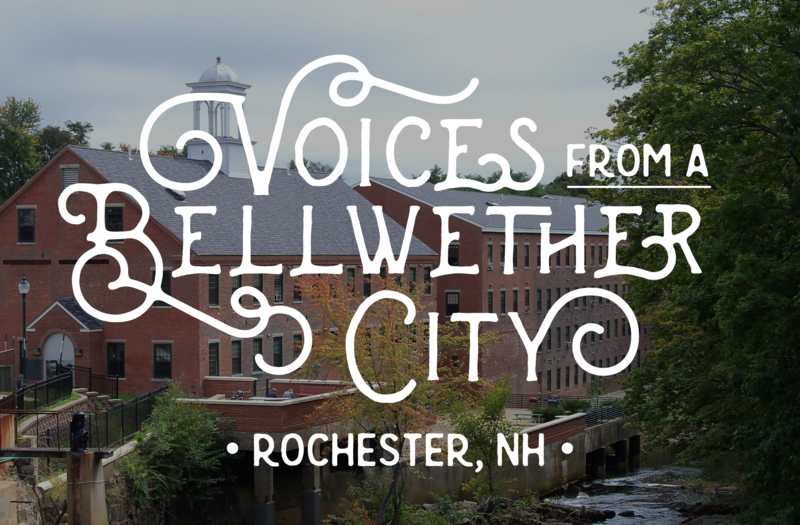 Voices from a Bellwether City: Rochester, N.H. There are a few towns and cities across New Hampshire that -- time and again -- almost perfectly mirror how the state votes as a whole. Political junkies call a town like this a "bellwether." One of the state's most tried and true bellwether communities is the city of Rochester. By now it seems inevitable: A debate question gets asked about something other than the presidential race, but soon enough, the discussion is about Donald Trump and Hillary Clinton. Wednesday night, it took seven minutes for them to enter the debate. 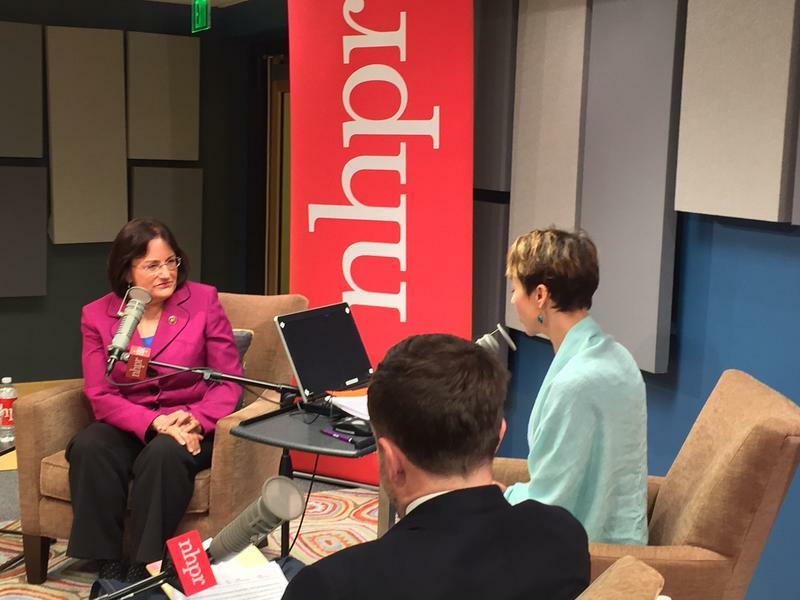 Join us for the latest in The Exchange's "Conversations with the Candidates" series, with incumbent Democrat Ann McLane Kuster. She's been the U.S. Representative for New Hampshire's Second Congressional District since 2013. We talk with Kuster about veterans issues in New Hampshire, her speech on the House floor about her sexual assault while a legislative aide on Capitol Hill, and other issues. 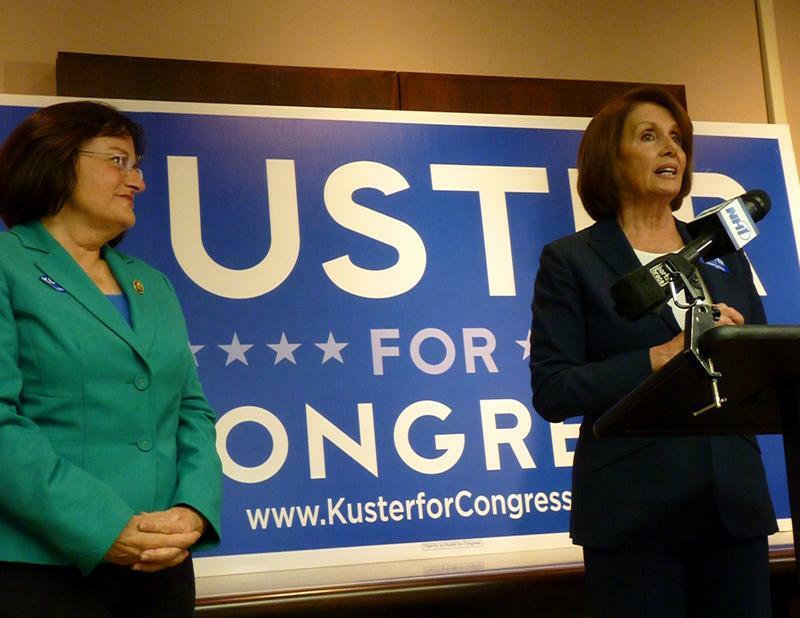 Former Speaker of the House Nancy Pelosi made a stop in Concord Thursday, stumping for 2nd District incumbent Annie Kuster. Pelosi, one of Congress' most polarizing figures, praised Democrats up and down the ballot. In a downtown Concord law firm packed with supporters, the California Congresswoman and current Minority Leader singled out Kuster for her bi-partisan efforts on the Farm Bill, and for her work to pass substance abuse legislation.